Stufen Has Become a Full Website! On my first night in Porto I met up with my new friends Melissa and Justin whom I met on my flight from Lisbon and their friend Christie for dinner. We chose a small restaurant near the Douro River. The owner was very friendly and made to effort to come speak to us throughout the night. 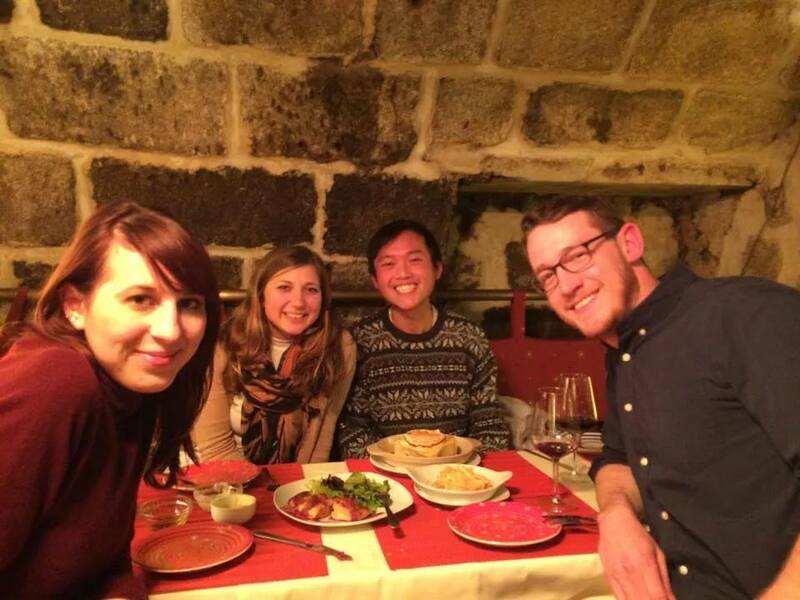 With excellent wine and excellent company, it was my opportunity to try Francesinha, a culinary specialty of Porto held in high regard by the locals. In a way, Francesinha seems like it would be the invention of an American college student armed with some limited ingredients trying to throw something together on a Saturday night under the influence of some substances or something the team at Epic Meal Time would come up with to push the boundaries of their fat and calorie capacities. The sandwich consists of two pieces of bread with hams, sausages, roast meat, and tomato with a slice of melted cheese on top and a secret sauce served with a side of French fries—mine also had an egg on top. It was a challenge to eat the whole thing and it seemed to me really gimmicky that this was the food that visitors had to try, but I was definitely not hungry after a long, hard battle with the massive sandwich. 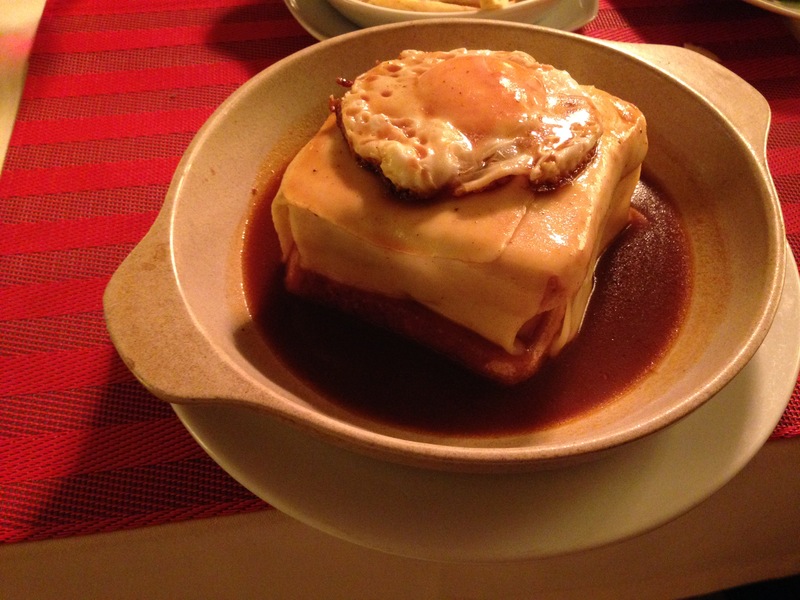 While topping off a night with some beers at a bar, a group of Porto locals eager to speak to us were quickly offended when we downplayed the reputation of Francesinha. This amounted to what seemed like an attack on the identity of Porto itself. I learned with Francesinha that when the locals of a given place point to a dish to represent their city they attach to it a special feeling of home, the warm feelings of growing up with that dish and always being able to depend on that dish to satisfy a unique hunger and craving. Thus, with the glorification of a local dish comes an insistence upon its infallibility. Never get caught saying anything short of praise. During my time in Lisbon I was told time and again that I should visit Porto because of the beauty of the architecture and the quality of the eponymous Port wine of the Douro Valley. After exhausting my list of things to see in Lisbon, I looked up flights to Porto and found tickets with Ryan Air for €15 each way—no excuse not to take advantage of such a deal. 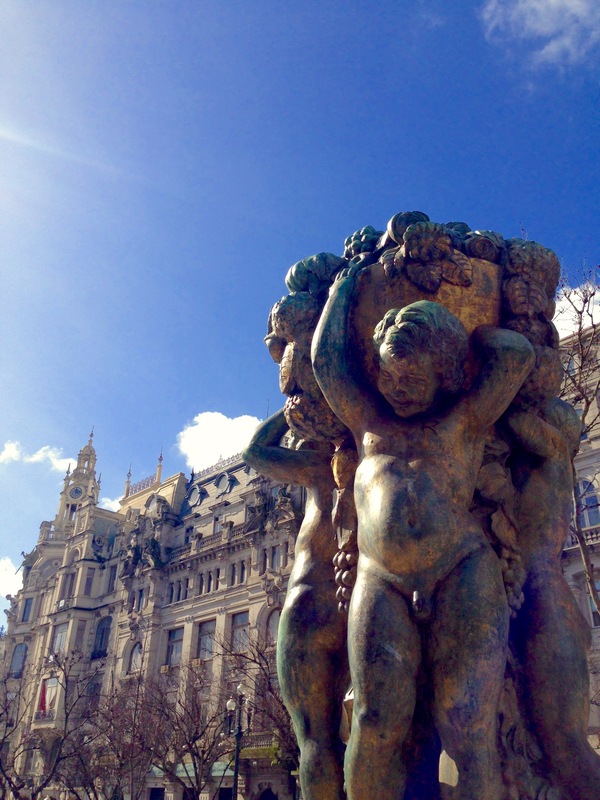 This trip to Porto embodies the powerful interpersonal forces that the universe has blessed travelers with, bringing people together so that they may share special experiences. These forces seated me next to an American couple, Melissa and Justin, for the short 40 minute flight to Porto. I noticed that the two were speaking American-English as I put my bag in the overhead compartment and took my seat. I asked them where they were from—they were from Chicago. It was as simple as that. After struggling together to find the metro platform from the airport to the city center, we exchanged contact information and were on our way to becoming travel companions for these few days along with their friend Christie. 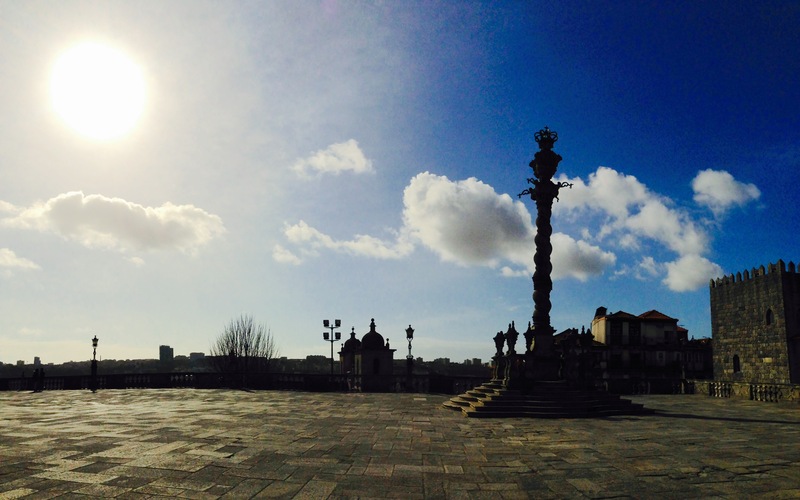 I spent my first day in Porto exploring the city center with the clear afternoon sky. 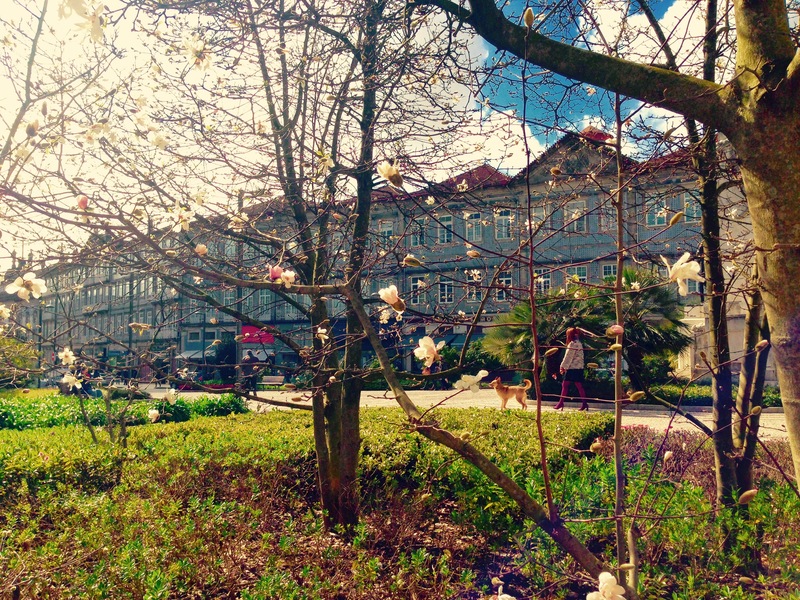 It was really wonderful to capture images of this beautiful city. In many ways it reminded me of Lisbon, but with a more refined edge. Geographically similar in its structure as a hilled city on a river (the Douro River), Porto looks, at its surface, just like Lisbon. However, one quickly notices the differences. If Lisbon is a beer freshly poured from the tap, Porto is the result of scraping off the foam and eliminating the messy inconveniences. Far from the dizzying and scatterbrained bustle and transformations of the Portuguese capital, Porto seems to understand itself much better. 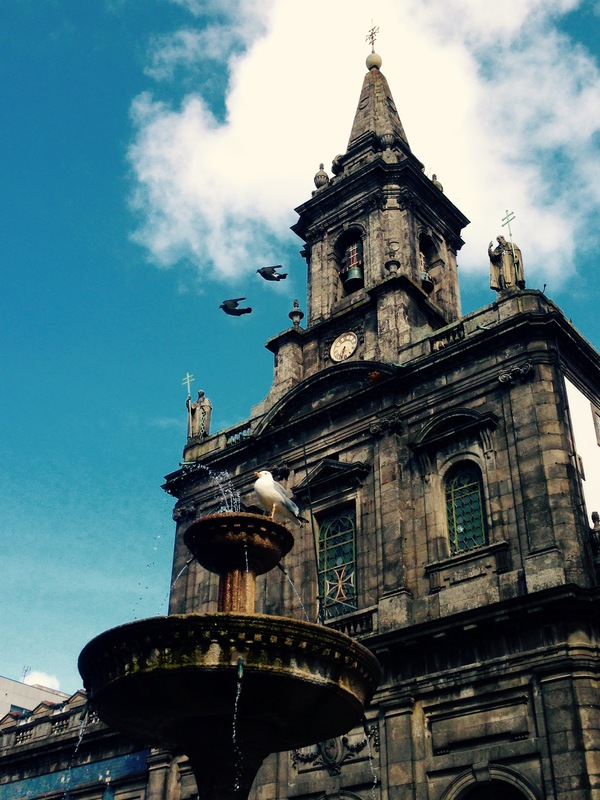 Rather than trying to prove itself to the rest of the world, Porto embraces what it already has and thus exudes a more consistently antique feel as opposed to Lisbon where jarring modern edifices stand alongside the old.